Tiger Orange may be a color metaphor for standing out from the crowd, but to Chet it’s also like a neon sign in his mind that calls him out in several senses of the phrase. This is about how two gay brothers learn to deal with each other and life when one is lying low and the other is out and loud and cruising parks in their small town. My synopsis: Chet and Todd are brothers, and they both happen to be gay. They seem like polar opposites and in many ways they are, but they are also more similar than they appear. Chet has stayed in his small hometown most recently taking care of his dying father and then taking over the family business. Todd moved away years ago to move to LA with aspirations of being an actor. But now Todd has returned home, and although the brothers are family they each have their baggage that gets in the way of their relationship and their own personal development. Chet’s journey here starts with the death of his father. His dad represented order, doing things the small-town way, and keeping under the radar. He seems to have left Chet with a pretty serious case of internalized homophobia and low self-esteem. When Chet comes out even in a small way he faces repercussions that he perceives to be life altering. Even Chet’s love life is affected as he finds himself unworthy of someone else’s affection. The brothers coming together both helps and hinders them. In some ways they take care of each other. In some ways they balance each other out. But they also push each other’s boundaries which is sometimes good and other times not. They force each other to deal with their issues. The process is trying for both, but it is rewarding to see them reconnect after their difficult childhood and later separation. When they take a trip away together they seem like best friends. But problems still lurk under the surface. There are many themes in this film at different levels. 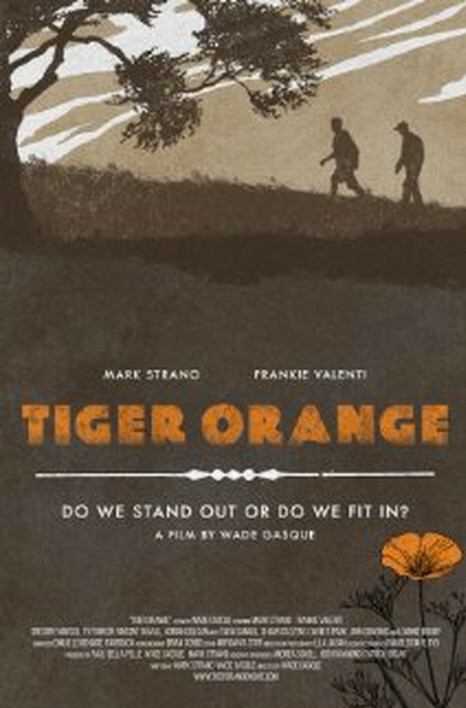 One that the director, Wade Gasque, calls out is about standing out versus fitting in. The brothers represent this dichotomy, and part of their journey is about how they find balance. We see Chet especially dealing with this and finding out how he will balance this in his life. Will he push his brother away at the same time he tries to blend in with the small town crowd? How will he find love if he’s too scared to even find out if someone is gay too? We also see loss and how this affects and scars us. Foremost is the loss of the father. We also see the loss of the mother which happened a long time ago. And then we see how Chet dealt with the loss of his brother, then his return, then the possibility that he may leave again. We see Chet push people away as he fears losing them. These things appear to make it difficult to connect with other people at a certain level. The film is well shot with camera movement that calls attention to the mood of the film. Sometimes we’re looking slowly at a beautiful landscape and other times we are rolling around in what appears to be a hand-held shot when things are getting a little out of control. Music is good and unobtrusive. I felt like the acting and script flowed well to tell a cohesive story that brought me into their life and got me invested. This is a movie I would like to see again. It has a Big Eden feel to it, but it’s different in that there are separate characters that show two sides of a coin and how they are interdependent and affect each other. Not sure when this will see wide release, but it’s worth watching for. Availability: In film festivals now. Check out the movie website here, and the trailer here.